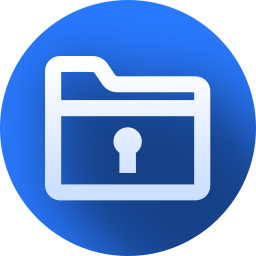 A duplicate file management tool that can help you find and delete duplicate. Wise Duplicate Finder Pro 1.2.8 was available as a giveaway on November 28, 2018! NB: Lifetime license, no updates included. 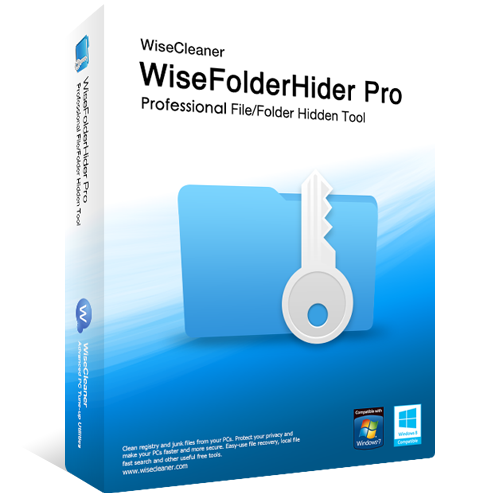 Wise Duplicate Finder Pro is a duplicate file management tool that can help you find and delete duplicate files by comparing file name, file size or contents. We download a lot of documents, photos, songs and movies in our daily life. As time goes on, they will fill up your hard drive. You find yourself frequently running out of disk space. 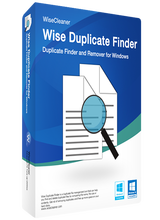 Wise Duplicate Finder can help you locate and remove unnecessary duplicates, free up your disk space. How would you improve Wise Duplicate Finder Pro 1.2.8? be able to preview media files before deleting. 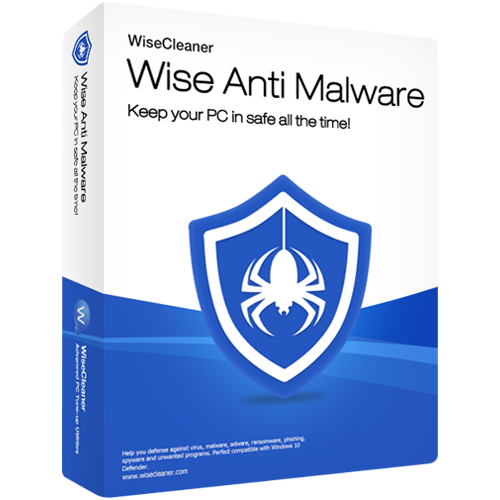 Wise Anti Malware can help you defense against virus, malware, adware, ransomware, phishing, spyware and potentially unwanted programs. Perfect compatible with Windows 10 Defender. 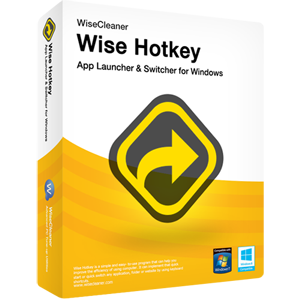 App Launcher & Switcher for Windows. I do not feel the need to install this as I find WinExt Pro given as a GAOTD a few weeks ago still very useful and which works flawlessly in managing my files and folders. bratsch, IMPORTANT: Please note that due to the software wrapper, developed by GOTD Team, that limits software ativation to 24 hours only, your installation might be blocked by your antivirus (AVG, Avast or Kaspersky)! If you have Kaspersky antivirus, please disable it and restart the computer. Be sure, all installers are always tested on virustotal.com and are virus free. bratsch, IMPORTANT: Please note that due to the software wrapper, developed by GOTD Team, that limits software ativation to 24 hours only, your installation might be blocked by your antivirus (AVG, Avast or Kaspersky)! In order to install the program, you'll have to temporally disable your antivirus. If you have Kaspersky antivirus, please disable it and restart the computer. Please make sure it won't start automatically with the computer. Now please download the program archive once again and try to install it. Be sure, all installers are always tested on virustotal.com and are virus free. We apologize for inconvenience! This program only seems to a scan for do complete drives. I can't find a way for it to compare files in two folders only. You can add folders to be included but it still compares all files on selected hard drives. There is no way to go back to change my choices when I want to do another scan using different hard drives. I like the choices of having a more detailed search. It also allows you to check the file before you decide to delete it. Listing the files by size is also useful as I'd want to work on the biggest file sizes first. It would be nice if this program the total amount of space you could save when you select what you want to delete. This program only seems to a scan for do complete drives. I can't find a way for it to compare files in two folders only. You can add folders to be included but it still compares all files on selected hard drives. There is no way to go back to change my choices when I want to do another scan using different hard drives. I like the choices of having a more detailed search. It also allows you to check the file before you decide to delete it. Listing the files by size is also useful as I'd want to work on the biggest file sizes first. It would be nice if this program the total amount of space you could save when you select what you want to delete. downloaded and hit the setup.exe as specified. Giveawayofthedayinstaller runs and... NOTHING. It says it's complete and lets me click the close tab. But there is NO program installed on my computer ANYWHERE. Windows 10 and no sign of the program from the installer. downloaded and hit the setup.exe as specified. Giveawayofthedayinstaller runs and... NOTHING. It says it's complete and lets me click the close tab. But there is NO program installed on my computer ANYWHERE. Windows 10 and no sign of the program from the installer. I had a similar problem until I turned Avast antivirus off temporarily. I find that happens fairly often. Chris, I had a similar problem until I turned Avast antivirus off temporarily. I find that happens fairly often. David Walker, That did it! Thanks!! Needs a way to preview media files before deletion. Geesh, it's a duplicate finder, not a file previewer. It's not trying to help you identify unidentified files. It's trying to help you reduce duplicates that take up space, duplicate and perhaps unnecessary files that are preoccupying backups and other scans like routine anti malware scans and defraggers and the like, occupying space without providing a unique benefit because, hey, there's another copy already on the hard drive somewhere..
You'll always have at least one copy left if you only use Wide Duplicate Finder to remove duplicates of ANY file type. I don't think people understand the purpose of some tools. Thank you very much for sharing your insight and recommendation.
. [ Paul Silvan ], Geesh, it's a duplicate finder, not a file previewer. It's not trying to help you identify unidentified files. It's trying to help you reduce duplicates that take up space, duplicate and perhaps unnecessary files that are preoccupying backups and other scans like routine anti malware scans and defraggers and the like, occupying space without providing a unique benefit because, hey, there's another copy already on the hard drive somewhere.. You'll always have at least one copy left if you only use Wide Duplicate Finder to remove duplicates of ANY file type. __________ I don't think people understand the purpose of some tools. __________ Thank you very much for sharing your insight and recommendation. .
Peter Blaise, There are many dupe finders available which DO not only ALLOW previewing, but show a thumbnail of each file along with the file's location on your drive. Thanks anyway, but I'll use one of those instead. And HERE, [ Paul Silvan ], was your opportunity to share with your fellow GOTD participants which competitive deduplicator software you prefer because they offer file contents preview.
. And HERE, [ Paul Silvan ], was your opportunity to share with your fellow GOTD participants which competitive deduplicator software you prefer because they offer file contents preview. Go right ahead. . I have used your service for years and have often ended up buying some programs. Recently the download service does not work. It is crap. I used to get a zip file and installed the program. Now I cannot get a direct download and the other push service to my email does not work either. Nothing has changed on my system so I don't know what you did on your end, but it does not work. I guess this avid user of your service will become history if you do not get your service back to what it was. I have used your service for years and have often ended up buying some programs. Recently the download service does not work. It is crap. I used to get a zip file and installed the program. Now I cannot get a direct download and the other push service to my email does not work either. Nothing has changed on my system so I don't know what you did on your end, but it does not work. I guess this avid user of your service will become history if you do not get your service back to what it was. The only things you can control are your browsers, cookies / cache, and computer fingerprint. On the one hand, keep changing them until you get the results you want. On the other hand, stop changing them when you get the results that you want.
. [ Bob Dolph ], The only things you can control are your browsers, cookies / cache, and computer fingerprint. On the one hand, keep changing them until you get the results you want. On the other hand, stop changing them when you get the results that you want. Thanks for sharing your experience. .
Bob Dolph, Please try using a different e-mail for our service. You may have accidentally unsubscribed from our service in our daily e-mail. Wow, it find duplicate files very fast. Thank you very much for the Giveaway! Not a bad program and installed quickly. Ran it on my mp3 and it was super fast. But just for grins I tried another duplicate file finder I use Auslogics Duplicate File Finder which is freeware. DFF was almost as fast, but was a lot more useful ie it showed the names of the songs and it found many more dupes vs Wise. Wise found 230 dupes vs DFF found 374! I was unaware of the dupefinder in Ccleaner . . . but it has a number of secondary tools that are built-in. it just reports, and does not delete extra files. I was unaware of the dupefinder in Ccleaner . . . but it has a number of secondary tools that are built-in. I've mainly relied upon the duplicates finder in Win Utilities Pro (a perennial giveaway), although I think it just reports, and does not delete extra files. I appreciate Giveaway of the Day's offers, but almost more useful are the comments about problems and free alternatives. Unfortunately the comments about problems downloading, installing and activating are mostly useless, but some are helpful. It saves me a lot of time and headaches so I won't go into the swamp where others have credible problems. I just had occasion to search for duplicates, both amongst ordinary files and then in about 3000 pictures. I found that the free version of Glary Utilities (of which the Pro version is often given away here) was excellent for ordinary files. For pictures check out the free DupDetector, by Prismatic, now safely available from keronsoft. This giveaway had better have features exceeding those. I appreciate Giveaway of the Day's offers, but almost more useful are the comments about problems and free alternatives. Unfortunately the comments about problems downloading, installing and activating are mostly useless, but some are helpful. It saves me a lot of time and headaches so I won't go into the swamp where others have credible problems. I just had occasion to search for duplicates, both amongst ordinary files and then in about 3000 pictures. I found that the free version of Glary Utilities (of which the Pro version is often given away here) was excellent for ordinary files. For pictures check out the free DupDetector, by Prismatic, now safely available from keronsoft. This giveaway had better have features exceeding those. The comments on download struggles are intended for the web site moderators, and to seek help from others who may have tips or tricks to overcome download issues. Thanks for the insight on alternatives to today's GOTD.
. [ OldGuy ], The comments on download struggles are intended for the web site moderators, and to seek help from others who may have tips or tricks to overcome download issues. Thanks for the insight on alternatives to today's GOTD. .
My usual "tired" question: Is this a 3-month, 6-month, 1-year or lifetime license? Any tech support? As noted below, if you update, you're back to the "stripped down" version, so that's covered (by a GAOD user-not Wise). I wish GAOD would require the length of use be noted in the vendor's description, but, alas, not to happen. HellsBells, It actually says lifetime licence! "Giveaway" is one word, not two words, so the abbreviation of Giveaway Of The Day is GOTD, not GAOD.
. [ HellsBells ], "Giveaway" is one word, not two words, so the abbreviation of Giveaway Of The Day is GOTD, not GAOD. .
Tester; And CCleaner should be avoided at all costs. Its as shady as a shady thing on a shady day. Chris, Strrange I do not have that problem its off permanently on my systems maybe these guys did something wrong or CCleaner fixed a bug? Peter Blaise: You're wrong. It isn't old news. And it's a shame Chris's comment has been undeservedly down-voted by so many who know no better. CCleaner's odious manipulation of user monitoring was first reported on by Martin Brinkmann in August this year. What you're talking about is the virus scare that cropped up with CCleaner downloads immediately after Piriform sold it to Avast in 2017, since which time Avast has done everything it can to monetize its acquisition. No-one should be using a current version of CCleaner. No-one. My personal favourite is CCleaner Free 64-bit version 4.19.4867, still easily located on the Internet. It reflects the best of its former owner, in contrast to present version 5.45 which reflects the worst of its current owner. As to today's giveaway, I already have this in my toolbox and though in practice I've found better software than this -- the much-missed DupeGuru being the absolute best -- Wise's free offer today is one worth having. Peter Blaise: You're wrong. It isn't old news. And it's a shame Chris's comment has been undeservedly down-voted by so many who know no better. CCleaner's odious manipulation of user monitoring was first reported on by Martin Brinkmann in August this year. What you're talking about is the virus scare that cropped up with CCleaner downloads immediately after Piriform sold it to Avast in 2017, since which time Avast has done everything it can to monetize its acquisition. <b>No-one should be using a current version of CCleaner. No-one. </b> My personal favourite is CCleaner Free 64-bit version 4.19.4867, still easily located on the Internet. It reflects the best of its former owner, in contrast to present version 5.45 which reflects the worst of its current owner. As to today's giveaway, I already have this in my toolbox and though in practice I've found better software than this -- the much-missed DupeGuru being the absolute best -- Wise's free offer today is one worth having. Peter Blaise, What do you mean by ‘call home’? Please explain, I cannot find it in Computer Hope's dictionary. Zen , It means that the software sends data (your data) back to the software creator or vendor as the case may be so they can sell your data and make money at your expense. Tester, It is not on my version. I do have a pro version that I purchased. Peter Blaise, I do not agree with you it should not be accepted and forgotten this should be stopped along no physical dvd's and blu-ray being phased out or games being Download only and cloud storage it all should go away its a danger to your security and privacy sadly people are to blind to see that. Thank you PeterW and Chris for your valuable comments on CCleaner. No on is sayign to accept compromised to one's security, only nto to single out one company for somethignthat is an industry standard, instead, address the industry standard rather than accuse one company of doing something untoward or nefarious., that's all. 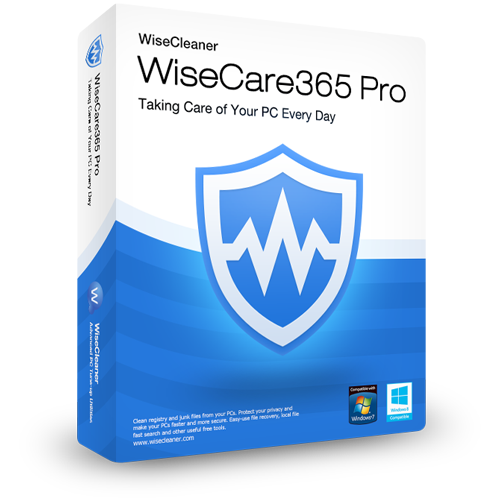 Current versions of CCleaner and Wise Duplicate finder do not compromise anyone's security, so it's a bogus distraction to discuss such off topic fears and nonsense in this thread.
. [ Wipeout ], No on is sayign to accept compromised to one's security, only nto to single out one company for somethignthat is an industry standard, instead, address the industry standard rather than accuse one company of doing something untoward or nefarious., that's all. Current versions of CCleaner and Wise Duplicate finder do not compromise anyone's security, so it's a bogus distraction to discuss such off topic fears and nonsense in this thread. Thanks for sharing your insight. .
What did Computer Hope say when you asked them what "call home" means? Thanks in advance for sharing the results of our asking the responsible party.
. [ Zen ], What did Computer Hope say when you asked them what "call home" means? Thanks in advance for sharing the results of our asking the responsible party. Or try a Google Search for: what does it mean when software calls home Thanks for sharing. .
PeterW, Thank you (and nag and bebop for their answer). I have removed ccleaner completely following your comment, but the 64 is no use to me with XP. What is? Anyway ccleaner was annoying me with constant pop-ups about something or other I have never heard of and do not want to hear of called black friday, whatever that is. Probably something American. PeterW, Thank you (and nag and bebop for their answer). I have removed ccleaner completely following your comment, but the 64 is no use to me with XP. What is? Anyway ccleaner was annoying me with constant pop-ups about something or other I have never heard of and do not want to hear of called black friday, whatever that is. Probably something American. "... CCleaner’s latest version, 5.45, collects anonymized information about your system, then basically makes it impossible for you to turn the feature off ..."
That is about a discontinued version that has been pulled from distribution 4 versions ago, so, as I wrote, talking about it is old news. -- nor does it persistently call home any more after telling it not to. You, [ PeterW ], wrote "... Peter Blaise: You're wrong. It isn't old news. ... No-one should be using a current version of CCleaner. No-one ..."
ou have provided absolutely no apparent reason, no substantiated reason, no reason whatsoever for your claim. I use free CCleaner all the time, and like it, and experience no compromises, and recommend it to everyone, novice and expert alike.
. [ PeterW ], [ Chris ] referred to an old web post claiming that "... CCleaner’s latest version, 5.45, collects anonymized information about your system, then basically makes it impossible for you to turn the feature off ..." Now false. That is about a discontinued version that has been pulled from distribution 4 versions ago, so, as I wrote, talking about it is old news. __________ [ Peter Blaise ] wrote: -- CCleaner no longer has a virus infection -- nor does it persistently call home any more after telling it not to. Both true. __________ You, [ PeterW ], wrote "... Peter Blaise: You're wrong. It isn't old news. ... No-one should be using a current version of CCleaner. No-one ..." False. ou have provided absolutely no apparent reason, no substantiated reason, no reason whatsoever for your claim. I use free CCleaner all the time, and like it, and experience no compromises, and recommend it to everyone, novice and expert alike. __________ Thank you very much for sharing your insight. . The comments from [ PeterW ] and [ Chris ] on CCleaner are valueless because they are wrong.
. [ consuella ], The comments from [ PeterW ] and [ Chris ] on CCleaner are valueless because they are wrong. .
Chris, All FREE versions of CCleaner I've had over the years come with the option to search for duplicate files. I would be surprised if you don't have that option on yours. To search for duplicates, start CCleaner, click on "Tools" then to "Duplicate Finder" and select the parameters you want. CCleaner wants to monitor my system but I have a monitoring program which warns me of any unexpected processes and it gives me the choice to allow it or disallow it. I generally stop the process but I've never experienced any problems in the past when I allow it. Chris, All FREE versions of CCleaner I've had over the years come with the option to search for duplicate files. I would be surprised if you don't have that option on yours. To search for duplicates, start CCleaner, click on "Tools" then to "Duplicate Finder" and select the parameters you want. CCleaner wants to monitor my system but I have a monitoring program which warns me of any unexpected processes and it gives me the choice to allow it or disallow it. I generally stop the process but I've never experienced any problems in the past when I allow it. Hope this helps. PeterW, But your wrong it's monitor feature is something you can turn off or on and it call home is gone, weather this new version is better than its old one is another talk, but for the monitor issues then they are now working as a optional option. Peter Blaise, I was not discussing one company I was answering someone claiming something that today is not true anymore. So what your saying is, that we can't tell someone that the statement made is not correct today but yes it was?? Now thats strange because that means we can't talk or have a normal discussion. And the discussion you call bogus and off topic happen when we commented on someone making it to make it clear yes it used to be like that but its not anymore, but apparently thats according to you not allowed as its bogus and off topic to answer to clearyfy something right. About the the standards today they are only Standards because everyone accept this by buying these people software and using clouds and stopping buying physical copies and more, and I am now and then part of that problem because thanks to others some items I need I can't get physical anymore only Download due to way to many made the companies realise this is a accepted standard, to remove security and privacy, to do these things. Peter Blaise, I was not discussing one company I was answering someone claiming something that today is not true anymore. So what your saying is, that we can't tell someone that the statement made is not correct today but yes it was?? Now thats strange because that means we can't talk or have a normal discussion. And the discussion you call bogus and off topic happen when we commented on someone making it to make it clear yes it used to be like that but its not anymore, but apparently thats according to you not allowed as its bogus and off topic to answer to clearyfy something right. About the the standards today they are only Standards because everyone accept this by buying these people software and using clouds and stopping buying physical copies and more, and I am now and then part of that problem because thanks to others some items I need I can't get physical anymore only Download due to way to many made the companies realise this is a accepted standard, to remove security and privacy, to do these things. Wipeout, Yes, CCleaner has Optional an "call home" feature that can easily be turned off an it will not turn back on unless the user does so. As for all those worried about call home software there is an easy solution since Windows 10 itself calls home whenever one uses it. The solution is install and use Linux. I dual boot Win10 and Mint Linux. nag2, lol well that will not stop win 10 from calling home tho not even if you use win 10 in a closed envirement as long it has any access to internet it will call home. But no i wasn't worried about the Call home feature on Win 10 I am worried about the feature they have added that says everything you have on a win 10 machine is Microsoft property if they want it, same acceptance you give to Facebook, snapchat, whatsapp and so on. Plus the fact Microsoft since Win 10 can block Hardware or software they do not agree with. And that I find scary I can see many senarios where Microsoft can abuse this blocking feature wrongly only time will tell if it will happen. nag2, lol well that will not stop win 10 from calling home tho not even if you use win 10 in a closed envirement as long it has any access to internet it will call home. But no i wasn't worried about the Call home feature on Win 10 I am worried about the feature they have added that says everything you have on a win 10 machine is Microsoft property if they want it, same acceptance you give to Facebook, snapchat, whatsapp and so on. Plus the fact Microsoft since Win 10 can block Hardware or software they do not agree with. And that I find scary I can see many senarios where Microsoft can abuse this blocking feature wrongly only time will tell if it will happen. Thanks for sharing your experience and insight [ Wipeout ]. Sorry, but we seem to be talking past each other. Someone mentioned free CCleaner having a competitive duplicate finder. ... are all industry-standard behaviors. Almost all software has internal controls to turn off such "calling home", and or the user can externally turn off or block such "calling home" -- free Microsoft SysInternals AutoRuns allows toggling off services, schedulkes, and, of course, auto run tasks, and free firewalls and host file entries and port filters allow blocking programs and ports and web destinations. Some folks are shocked, SHOCKED, that some software calls home. What's bogus, aside from being shocked, SHOCKED that some software calls home, is singling out and claiming that ONE software is BAD for calling home, when in reality, nearly ALL software calls home, including the computer operating system itself calling home. ... it's especially off topic and inappropriate and distracting because those 2 versions of CCleaner are old -- 4 or more versions old -- and have been removed from official distribution, and have been replaced by versions without any of those "problems". Additionally off topic are discussions about CDs, security, and privacy. Identifying any post as off topic ( discussions about other things ) or as a meta topic ( discussions about our discussions ) helps visitors know which posts are about the GOTD software itself, and which posts are not. Thank you for taking the time to share, on or off topic.
. Meta topic: Thanks for sharing your experience and insight [ Wipeout ]. Sorry, but we seem to be talking past each other. Rather then try to review and clarify your prior posts ( about CDs, and security, and privacy, and such, none of which relate to the GOTD offering of Wise Duplicate Finder ), I'll just reiterate: Someone mentioned free CCleaner having a competitive duplicate finder. Someone else mentioned that CCleaner should not be considered because ( 2 older versions of ) CCleaner had misbehaviors ( those version have since been removed from distribution and have been replaced by non-misbehaving versions, over 4 newer versions ) Industry background: a program calling home to -- confirm license registration, -- check for updates and patches, -- anonymously report the computer hardware and software environment, -- anonymously report use, behavior, and errors of the software, ... are all industry-standard behaviors. Almost all software has internal controls to turn off such "calling home", and or the user can externally turn off or block such "calling home" -- free Microsoft SysInternals AutoRuns allows toggling off services, schedulkes, and, of course, auto run tasks, and free firewalls and host file entries and port filters allow blocking programs and ports and web destinations. Some folks are shocked, SHOCKED, that some software calls home. OK. What's bogus, aside from being shocked, SHOCKED that some software calls home, is singling out and claiming that ONE software is BAD for calling home, when in reality, nearly ALL software calls home, including the computer operating system itself calling home. What's off topic is diverting the discussion of Wise Duplicate Finder with old news about ( a ) CCleaner once having a version with a virus infection. or ( b ) CCleaner once having a version that called home even after telling it not to, ... it's especially off topic and inappropriate and distracting because those 2 versions of CCleaner are old -- 4 or more versions old -- and have been removed from official distribution, and have been replaced by versions without any of those "problems". Additionally off topic are discussions about CDs, security, and privacy. Identifying any post as off topic ( discussions about other things ) or as a meta topic ( discussions about our discussions ) helps visitors know which posts are about the GOTD software itself, and which posts are not. Thank you for taking the time to share, on or off topic. .
Peter Blaise, Well no we did not go past each other you missed the point, all me and I think 2 others tried to do was to help others who read here understand about Call home features and clearyfi things in hope of stopping it being muddled up. Yes we got off topic but it will always happen when you have someone post something that confuses the not so techincal people and others try to help explain the situation, that you seem to single me out is just funny lol. And no I never was shocked they called home I want it removed. Peter Blaise, Well no we did not go past each other you missed the point, all me and I think 2 others tried to do was to help others who read here understand about Call home features and clearyfi things in hope of stopping it being muddled up. Yes we got off topic but it will always happen when you have someone post something that confuses the not so techincal people and others try to help explain the situation, that you seem to single me out is just funny lol. And no I never was shocked they called home I want it removed. They were of value to me, because their comments generated an interesting and enlightening discussion, which otherwise would not have occurred, had these two posters not commented. Peter Blaise, They were of value to me, because their comments generated an interesting and enlightening discussion, which otherwise would not have occurred, had these two posters not commented. Good point: always research and check each software yourself and be responsible for your own decisions.
. [ consuella ], Good point: always research and check each software yourself and be responsible for your own decisions. .
As a working student, I do not have much time to spare, so I often rely on others, those far more knowledgeable contributors, like yourself, when deciding on installing any new, or unknown (to me), software. Ahh, another good point "... rely on ... far more knowledgeable contributors ..." here at GOTD, knowledgeable about their own specific experience with the specific GOTD offering, that is, we have installed and tested it, and report specific features and benefits ( or lack of benefits ) that we have hands-on experience of, and share links to alternatives and an occasional screen-shot example. I hope my shares have enough information in them so that others can follow my references and confirm for themselves whatever they decide is important to their own criteria. Enjoy and good luck in your studies.
. [ consuella ], Ahh, another good point "... rely on ... far more knowledgeable contributors ..." here at GOTD, knowledgeable about their own specific experience with the specific GOTD offering, that is, we have installed and tested it, and report specific features and benefits ( or lack of benefits ) that we have hands-on experience of, and share links to alternatives and an occasional screen-shot example. I hope my shares have enough information in them so that others can follow my references and confirm for themselves whatever they decide is important to their own criteria. Enjoy and good luck in your studies. .
After unzipping, I tried to install the software( Setup.exe). I got message "successfully activated". But the software installation did not happen????. Same thing happened in the past 2 or 3 times. What could have gone wrong? I am unable to troubleshoot. After unzipping, I tried to install the software( Setup.exe). I got message "successfully activated". But the software installation did not happen????. Same thing happened in the past 2 or 3 times. What could have gone wrong? I am unable to troubleshoot. Umesh, IMPORTANT: Please note that due to the software wrapper, developed by GOTD Team, that limits software ativation to 24 hours only, your installation might be blocked by your antivirus (AVG, Avast or Kaspersky)! Umesh, IMPORTANT: Please note that due to the software wrapper, developed by GOTD Team, that limits software ativation to 24 hours only, your installation might be blocked by your antivirus (AVG, Avast or Kaspersky)! In order to install the program, you'll have to temporally disable your antivirus. 1 - The GOTD wrapper was not developed BY GOTD, it is commercially available ( in customer-customized formats ) from a third party. ( b ) phoning home to get permission, which the GOTD mother-ship usually limits to one day, but the time limit is in GOTD's answer, not the wrapper itself. 3 - Anti virus programs seem to balk at the GOTD wrapper temporarily constructing an encoded virtual machine outside the anti virus's ability to watch, and so, anti virus programs tend to prevent the GOTD wrapper from functioning, that is why GOTD suggests turning off our anti virus program when installing from the GOTD wrapper ... then turning our anti virus program back on, and perhaps do a scan immediately so we feel comfortable that we have not been compromised. 4 - Not all GOTD offers use the wrapper, so non-wrapper GOTD installations can usually be accomplished with full participation of an anti virus program watching. 5 - Many of us immediately upload the GOTD offer to free [ VirusTotal. com ] and then report back here if there is a report of malware inside it. ... also, some reported programs are too new to be recognized, or have powers usually considered worth warning about, such as partition programs that can erase a hard drive often get reported, even though there is nothing misleading, covert, or fraudulent about them -- it's like reporting that a chef in your kitchen has sharp knives, oh my! This is just a reference collection of observations I have made about my GOTD experiences over the years. I hope it helps those who wonder what is going on with GOTD installations, and helps raise everyone's trust that nothing nefarious is happening at GOTD regarding sneaking under an anti virus programs radar, so to speak.
. [ Alexa ], A few background points regarding the "... the software wrapper, developed by GOTD Team ..." as you say: 1 - The GOTD wrapper was not developed BY GOTD, it is commercially available ( in customer-customized formats ) from a third party. 2 - The GOTD wrapper does not limit installation to only one day, but instead: ( a ) expands the embedded installation into an encoded virtual machine that is inaccessible to the operating system, thereby preventing reverse engineering of the contents, and ( b ) phoning home to get permission, which the GOTD mother-ship usually limits to one day, but the time limit is in GOTD's answer, not the wrapper itself. 3 - Anti virus programs seem to balk at the GOTD wrapper temporarily constructing an encoded virtual machine outside the anti virus's ability to watch, and so, anti virus programs tend to prevent the GOTD wrapper from functioning, that is why GOTD suggests turning off our anti virus program when installing from the GOTD wrapper ... then turning our anti virus program back on, and perhaps do a scan immediately so we feel comfortable that we have not been compromised. 4 - Not all GOTD offers use the wrapper, so non-wrapper GOTD installations can usually be accomplished with full participation of an anti virus program watching. 5 - Many of us immediately upload the GOTD offer to free [ VirusTotal. com ] and then report back here if there is a report of malware inside it. 6 - Not all programs reported by anti virus or anti malware programs are actually dangerous or fraudulent, some are "PUP"s, "POTENTIALLY Unwanted Programs", such as any utility that ( a ) is not necessary to operate the computer, and ( b ) may contain advertisement or prompts to install other programs ( such as free IObit Uninstaller offering to also install free IObit Advanced System Care, for example ), and or ( c ) personal conflict between vendors ( such as Malwarebytes considering ALL IObit and Auslogics software "POTENTIALLY" unwanted, geesh! ), ... also, some reported programs are too new to be recognized, or have powers usually considered worth warning about, such as partition programs that can erase a hard drive often get reported, even though there is nothing misleading, covert, or fraudulent about them -- it's like reporting that a chef in your kitchen has sharp knives, oh my! __________ This is just a reference collection of observations I have made about my GOTD experiences over the years. I hope it helps those who wonder what is going on with GOTD installations, and helps raise everyone's trust that nothing nefarious is happening at GOTD regarding sneaking under an anti virus programs radar, so to speak. .
Easy install windows 10 x64. Tried it and it works fine. I liked the "keep one" option it saves a lot of manual box ticking. Once again there is no safety feature I can see that prevents one from deleting duplicates that are required (like when you need the same file in two different locations to keep certain software happy) so care is required to exclude those folders / files. All that said I am still hooked on clonespy because of its options and it is always free. 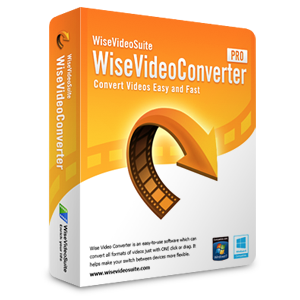 This is poor compared to such freeware as VisiPics and Duplicate & Same Files Searcher. Wise have a 'free download' which is read only! This is poor compared to such freeware as VisiPics and Duplicate & Same Files Searcher. Wise have a 'free download' which is read only! Uninstalled. Mr Pasit, the Pro version unlocks the "Keep One" feature, which basically selects duplicates automatically and leaves one unselected, so you can literally keep one, as the option says.